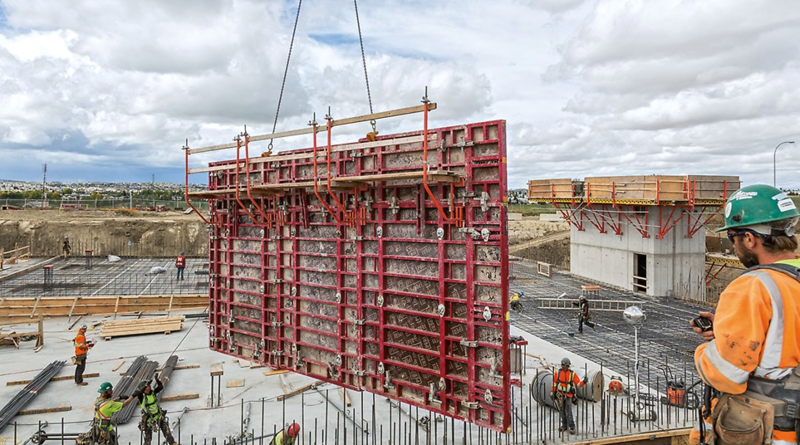 Founded in 1996, Perma-Cast is celebrating over 20 years of business in Alberta and continues to raise the bar in all disciplines, including commercial and industrial concrete foundations, multi-level parkades, high-rises, and water reservoirs. We are always expanding our knowledge in the latest technologies to continue to grow, innovate, and provide the highest quality service. John is the founder and director of Perma-Cast Concrete Contracting Ltd.
John has over 40 years experience in the concrete industry and is recognized as a leader in providing quality infrastructure and construction services in Alberta. Mr.McLeod maintains a hands-on role in Perma-Cast’s practice and is consistently engaged to oversee and monitor daily operations. He has led the construction of notable projects including Millennium Skate Park, the Olympic Oval, the Calgary Winter Club, and dedicated 10 years alongside Remington Development Corp. to construct Quarry Park. John is known and respected for his ­­­­­­extensive knowledge in all aspects of the industry and his commitment to completing projects ahead of schedule. Tyler has been a Project Manager with Perma-Cast Concrete Contracting Ltd. for over five years. In this time, Tyler has overseen the successful completion of several of Perma-Cast’s largest, most complex construction projects, spanning a wide range of developments including New Horizon Mall, the Airport Hyatt Hotel, and the YW Hub Facility. Tyler is responsible for the selection, budgeting, prioritization and alignment of all projects to ensure the scope is delivered on time and on budget. He is also a strong advocate for employee development, maintaining the highest level of safety, and operating a waste-free site. Sean has been a crucial member to the Perma-Cast team for over 20 years. As Site Manager, Sean has overseen the completion of over 100 successful jobs. Working extensively on construction management; from logistics, to planning, and to the execution of the construction. Sean is committed to effectively allocating labour, equipment, materials and subcontractors to maximize safety and profitability while simultaneously minimizing costs and deficiencies. He provides full time on-site supervision to ensure ­­­­efficiency in execution while maintaining the highest quality of service. Jamie started with Perma-Cast as a Carpenters Apprentice in 2007 and quickly advanced to assume the position of Senior Superintendent. Jamie has successfully completed various projects with Perma-Cast such as Meredith Apartments, Stampede Infield Tunnels, New Horizon Mall, and the YW Hub Facility. He takes a hands-on approach to supervising the field construction to ensure the project is completed according to schedule, within budget, and at the highest quality of workmanship. Jamie provides leadership and establishes/maintains an effective and harmonious work-site while promoting a positive project morale. Jamie is committed to promoting opportunities for employee growth and advancement to build the next generation of construction leaders.